Concord Canada House Condos by Concord Adex is a new condo for sale in pre-construction. It’s located at 23 Spadina Ave, Toronto, at the corner of Spadina Ave & Bremner Blvd in City Place. 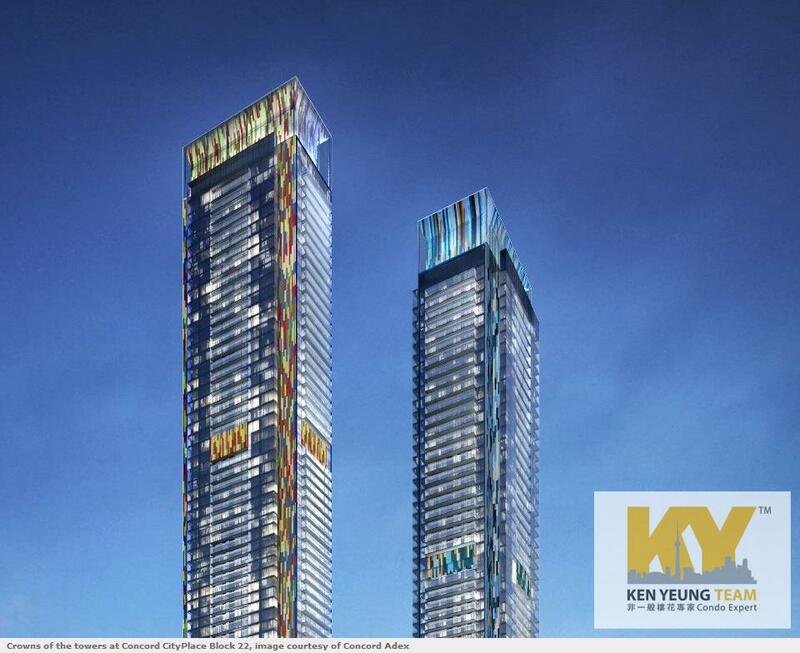 The buildings will be 69 & 59-storeys with a total of 1400 units. Concord Canada House Condos are the final phases of Concord Adex’s City Place development. For over 15 years 44 acres of land around Rogers Centre has been transforming into the neighbourhood known as City Place. Concord Canada House represents the final phases of residential construction at City Place. 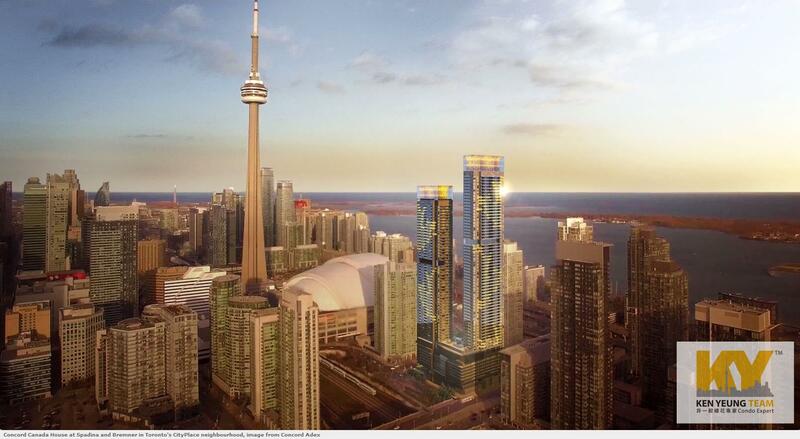 Rising to 59- and 69-storeys, the buildings will be landmarks on the growing Toronto skyline as well as provide residents with dramatic lake and city views. 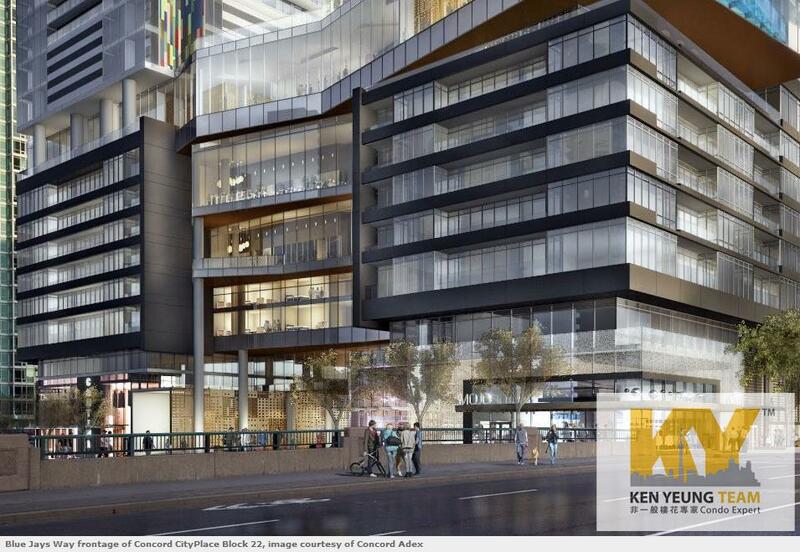 Retail will feature prominently on the street level. About 25,000 sq.ft of shops and restaurants will wrap around the entire building. The second storey will feature about 43,000 sq.ft of office space. 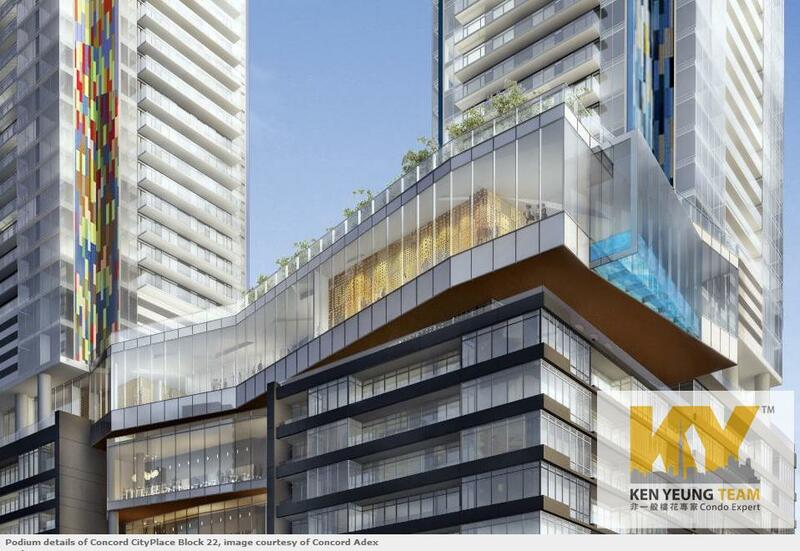 A double height 25,000 sq.ft amenity space will be located at the top of the 10-storey podium and will feature a basketball court, multi-lane pool and pet spa. There will be 25,000 sq.ft of outdoor rooftop amenity above the podium featuring green space and an area for dogs. 68th-floor gym, viewing area, and hot tub. 10th-floor outdoor summer water pond which turns into a winter skating rink. There will be 1,000 sq.ft of patio space at grade at the corner of Spadina Av and Bremner Blvd. The 20-acre Canoe Landing Park is just steps away. 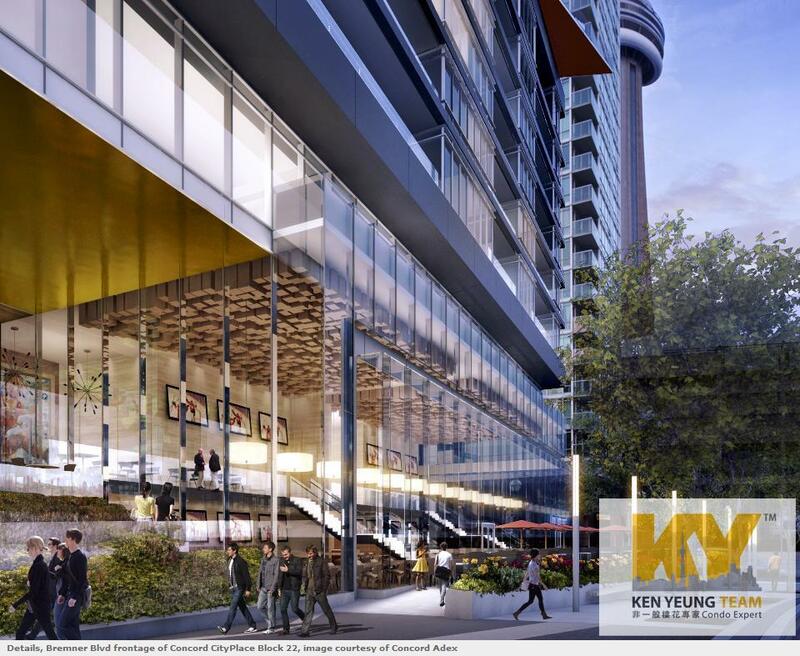 Construction is expected to commence soon on the highly anticipated Canada House Condos development located at Fort York Blvd and Brunel Crt. The buildings will feature a mix of uses that include elementary schools, daycare facility and community centre. The building will face Canoe Landing Park and features an accessible green roof area that includes basketball courts and outdoor running track. The 510 Spadina streetcar is at your doorstep as well as the 121A bus. Both go directly to Union Station. Some of downtown Toronto’s greatest neighbourhoods are just minutes away. Those include King West, Queen West, the Entertainment District, Chinatown, Village by the Grange, and Kensington. Rogers Centre is right next door making it easy to catch a Blue Jays game.